Yes, we can! Ganbatte Nippon! 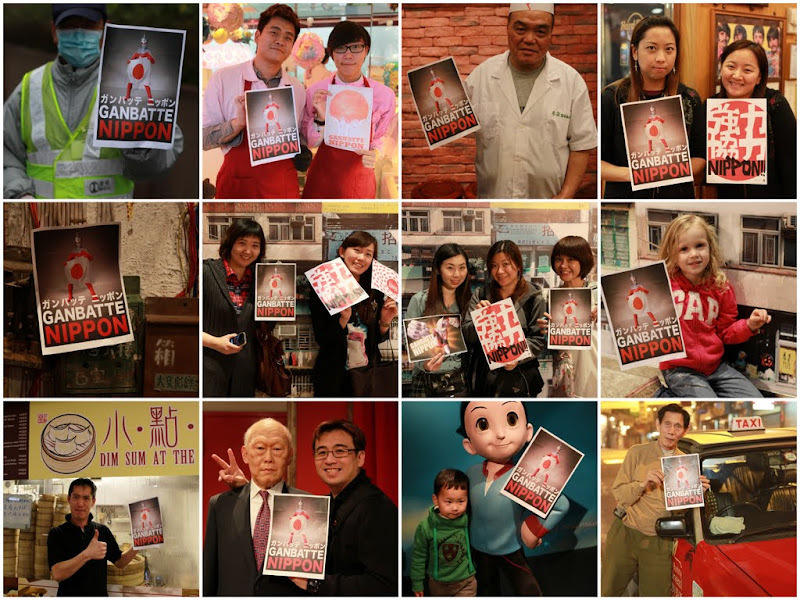 The Ganbatte Nippon Movement is on! In just a few days, over 500 people around the world (Taiwan, Singapore, Australia) are spreading the good cause online and you can be part of this! 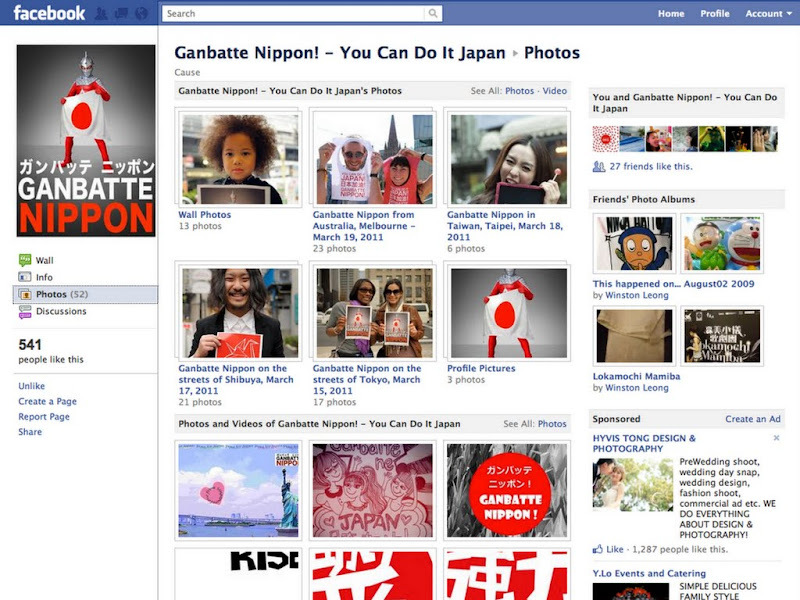 Click here to Facebook “Ganbatte Nippon Page” to support the movement. Here in Hong Kong, we have just started our movement. We went out this afternoon to rally support from the man-in-the-street and even borrowed some star-power! Check out our star-studded movement. And yes, even Vivian Chow rallied 10,000 concert fans last night to support Ganbatte Nippon!